One of the most important parts of the Thanksgiving feast is the wine choice. With so many different flavors on the menu—and some that you only make once a year, selecting wines to partner up with all of the flavors might be made easier by a little advice. The big question: Which wines go with a variety of tastes, textures, flavors, and aromas that uniquely present themselves on Thanksgiving Day. Should you choose one wine to carry you from appetizers through desserts–a tough request but doable. Or should you opt for several wines to accent different components of the meal and cater to a variety of palate preferences? 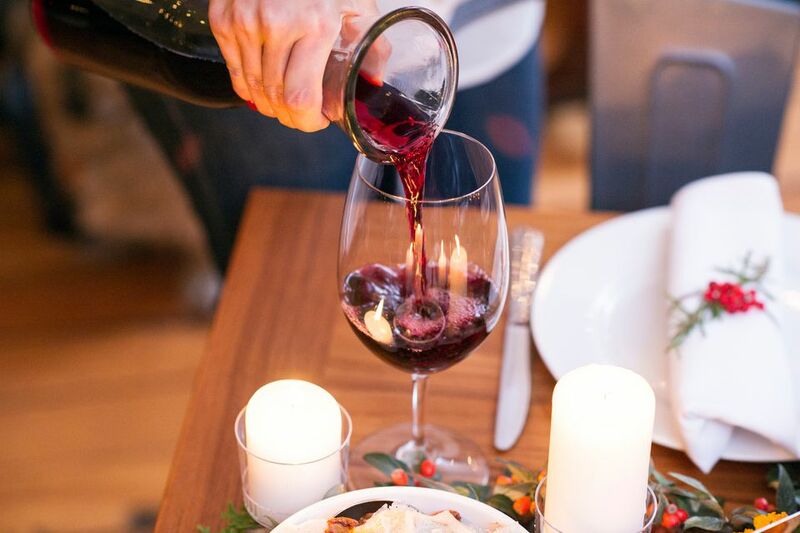 The choice is entirely up to you, here are some tried-and-true pairings to get your Thanksgiving wine themes started. From appetizers to white and dark turkey meat, mashed potatoes, yams, herb-filled stuffing or dressing, cranberry relish, pickled this and peppered that, all the way to pumpkin or pecan pie—is there truly a single wine that can take you seamlessly from start to finish? Enter sparkling wines—an increasingly popular pairing partner and not just for the holidays. Sparkling wines bring both elegance and phenomenal food-pairing versatility to virtually any meal, but for Thanksgiving, these wines really shine. They typically carry a decent dose of acidity, which amps the pairing potential, while adding a festive flair to the table in general. Regional sparkling wine finds are completely capable of handling assorted appetizers, particularly great for fried or salty fare, and make a delicious match with turkey and dressing. The crisp effervescence manages to cut seamlessly through the rich layers found in many daring desserts. Sparkling wine and Champagne can be a one-stop wine wonder on the road to Thanksgiving wine picks. The art of pairing wine with food is largely a matter of personal preference; however, some safe bets for Thanksgiving wines are pinot noir, Syrah, and Zinfandel for red wine lovers and Sauvignon blanc, Riesling, Gewurztraminer and Viognier for those who prefer white wines. With white wines, the pairing priority is finding a wine with well-balanced acidity, while with reds you are shooting for fairly tame tannins that will yield to and support the flavors of the food. Riesling: A white wine that can either be bone dry or fairly sweet; excellent with any dishes that are spicy, salty or sweet. Whether from Alsace, Germany or Washington – Riesling wines are a top pick for a white wine for pairing with Thanksgiving dinner. Riesling’s innate flavors of apple, apricot and honey and its clarifying acidity give it a significant pairing edge with the likes of sweet potatoes, turkey meat, and spice-laden or herb-filled stuffing. Albarino and Viognier: While they may not boast the best initial name recognition of say, Chardonnay, these white wine varieties offer the perfect opportunity to shake up the Thanksgiving table and take your guests on a little wine adventure while still maintaining perfect pairing power. Rose and Sherry: Along with the sparkling wine category, these are also worthy of consideration for Thanksgiving wine pairing potential. They all provide a capable go-between for those that are not firmly camped in either the red or white wine trenches. If you are considering a sparkling wine you can choose one labeled as “extra dry” –which will offer a touch more fruit flavor than a "brut." As for rose wines, a drier selection will be the most versatile for pairing with virtually any part of the Thanksgiving feast. When it comes to wine and pie pairings—fortified wines come immediately to mind. Pairing port with pies is a pretty straightforward partnership and goes way beyond just pumpkin and pecan pie. If you are a sherry fan, you will want to take a look at either Pedro Ximenez or cream sherry to contribute a delicious nutty, sweet spice-filled character to the pumpkin or pecan pie pairing. Or count on a late-harvest Riesling to bring rich, concentrated flavors of honey to a variety of desserts. Fortified wines and late-harvest wines offer the sweetness and the viscosity to support the rich flavors and robust spice of the pumpkin pie and the caramelized flavors in pecan pie.